RALEIGH, NC -- A retired Magnolia couple won't soon forget their trip to North Carolina. After all, they're leaving the state $1 million richer. Joseph Roseman and his wife, Anetia were staying with friends Friday when they stopped at a convenience store in Concord. While there, Anetia Roseman decided to buy a $1 Quick Pick ticket for the Mega Millions drawing later that day. On Saturday morning, Joseph checked the winning numbers and compared them to the ones on their ticket. After seeing what he had, he rushed to find his wife, who was in the bathroom drying her hair. 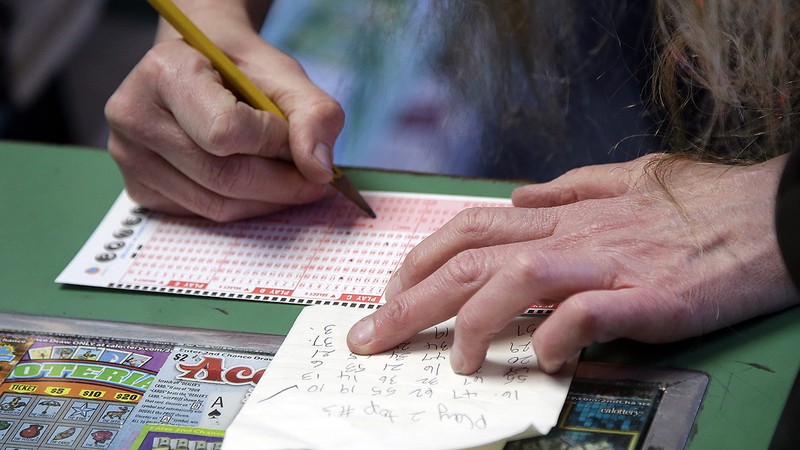 "I asked her, 'what do you get when you match five numbers in Mega Millions?' " Joseph said. "One million dollars," she replied. "I guess you won a million then," Joseph said. "I thought he was yanking my chain," Anetia said later as the couple traveled to Raleigh to claim their prize. It finally got real when they got their after-tax winnings of $692,502. The couple split the money, each receiving $346,251. The Rosemans said they plan to save some of the money, pay off bills, and take a vacation. Three others across the nation also won $1 million in Friday's drawing. This Friday's jackpot jumps to the third-largest prize in Mega Millions history with a $415 million annuity or a $286.4 million cash option.